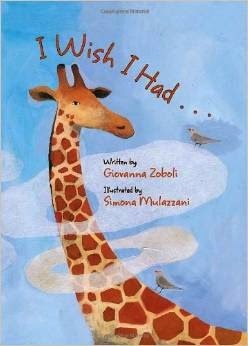 I Wish I Had... by Giovanna Zoboli and Simona Mulazzani. This book is like a magic trick that puts you in the skin of wild animals, and promotes an attitude of gratitude. A wish come true! Recommended by The PlanetEsme Plan. Link for information; please support your local independent bookseller.